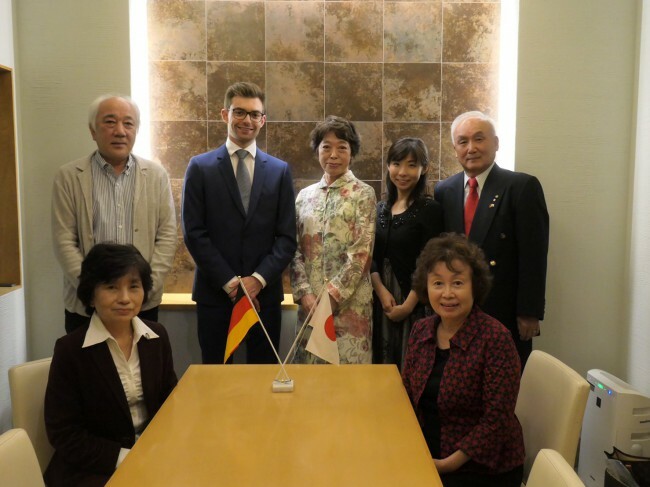 As 16th scholarship holder of the Grünwald Foundation, founded by Mr Okamoto, and the cooperation with the Rotary Club Grünwald, I have the outstanding opportunity to experience multiple aspects of Japan. First, I would like to thank everyone who got involved and made this adventure possible for me by providing planning, trust and engagement. I arrived September 23rd, 2018 and since then I have a busy schedule to get to know and understand the Japanese culture. Part of this program is participating in language class twice a week, trips within the Kansai region, individual lectures by Mr. Okamoto as well as a close contact to local people by joining round tables, events and making use of cooperation’s. 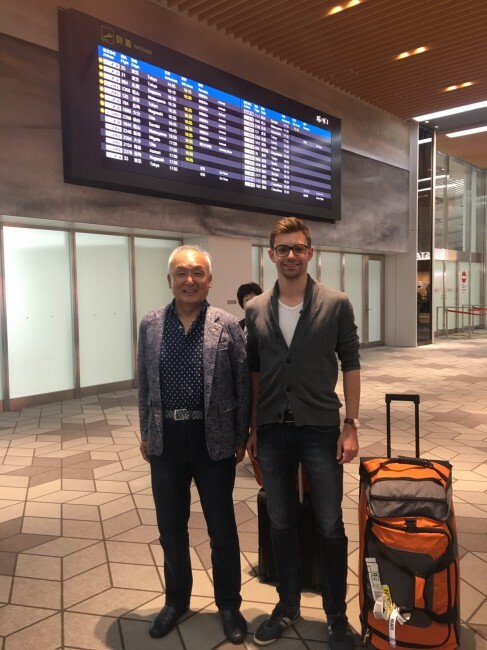 The first authentic impression of the Japanese culture I experienced when having a layover at Haneda Airport in Tokyo, one of the wold’s largest airports. At the airport silence, no rush, efficient operations, automatic processes and excellent customer service is present. One hour later I got picked up in Osaka and received a warm welcome by Mr Okamoto. After setting up my apartment I was invited for a welcome dinner at the day of arrival. The dinner allowed me to try different small, local dishes as well as traditional food like Okonomiyaki. On the first day, the Japanese meat has already set a new benchmark when it comes to texture and flavour. 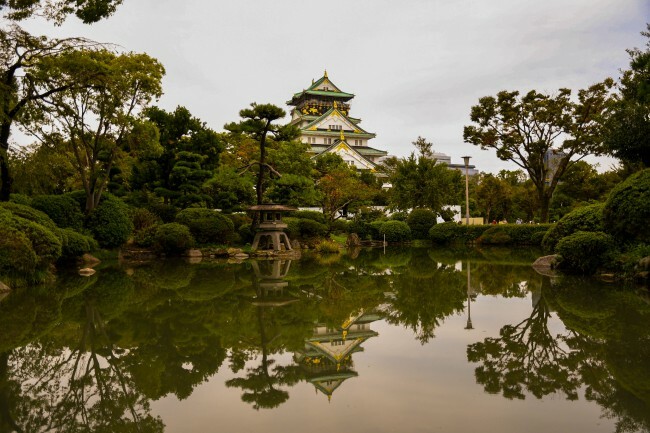 Besides several organisational tasks, like signing in for the language class, the first week was primarily used to get to know the surrounding and get in contact with Japanese people. 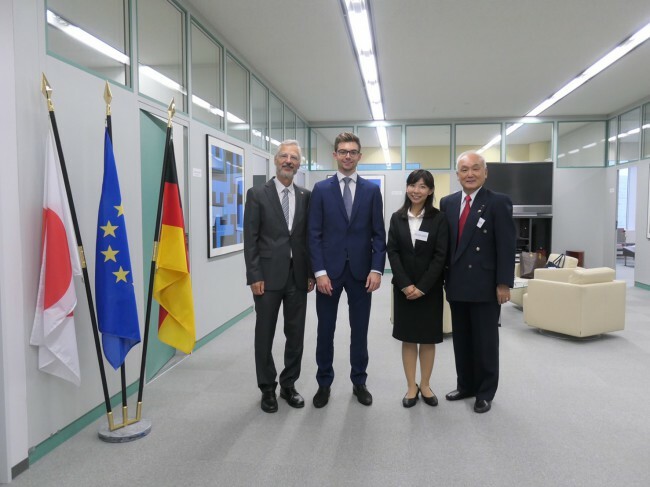 As part of that I met the local city council, Goto Keiji, as well as the German General Consul Mr. Dr. Köhler. During our meetings we had extensive and interesting discussions about politics, economics and topics which are relevant for the future. Those appointments also reflected the distinct relationships between Japan and Germany. I realised quickly that the Grünwald Foundation of Mr. Okamoto is highly regarded in Osaka and its surrounding. Within the eight years of existence, the foundation developed into a brand which is shaped by the engagement of Mr Okamoto. Furthermore, the experience gathered during the last years affects my journey since I benefit from organised cooperation’s, regular’s tables and a well-established network of friends. 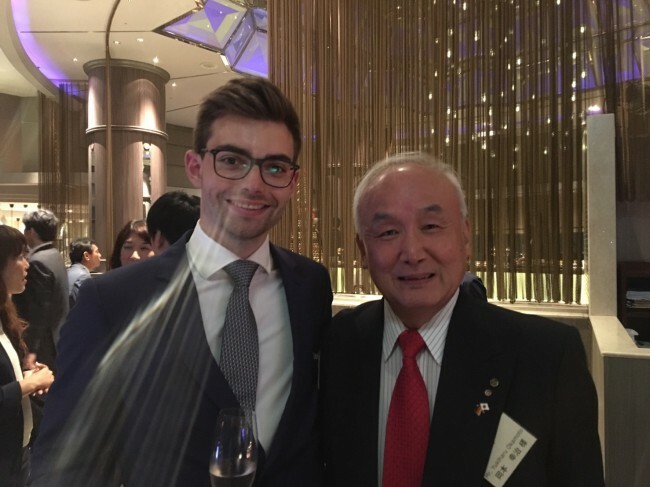 During the first week I had the opportunity to accompany Mr. Okamoto to the 15th anniversary party of the Swiss Hotel in Osaka as well as I made a trip to Osaka and Kyoto by my own to discover the cities. Even though Osaka and Kyoto are massive cities it is very convenient to get along the public transport since they are well structured and efficient. Both cities are very different. While Osaka is the biggest business metropole, apart from Tokyo, it is characterised by tall buildings and business people. 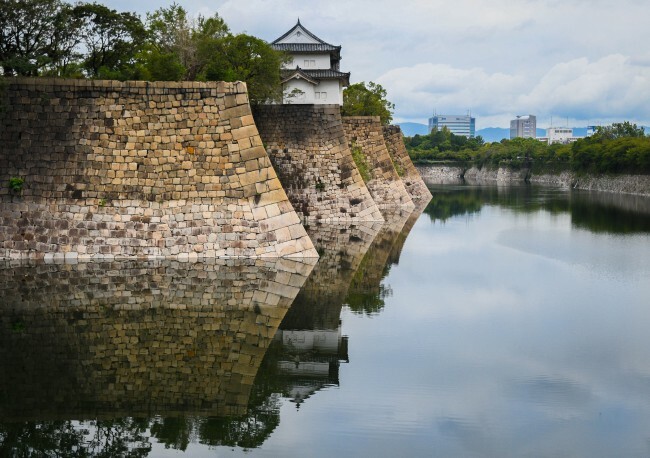 Kyoto on the other hand, has a lot of sightseeing spots and historical influence since it was the former capital. Traditionally, the first week ends with a welcome party. Mr. Okamoto and his wife invited for a 12-course dinner at a Michelin star restaurant. This evening allowed me to try several Japanese dishes while having interesting conversations. One of the previous mentioned cooperation’s is a partnership with the Kyoto Prefecture University which I work with twice a week. On Monday’s, we work on academic topics and every Sunday the students take me for a trip to the surrounding. The first trip went to the traditionel Otsu festival close to Kyoto and next to japans largest lake. Overall, the students are very motivated and interested in learning Germany and have different reasons why to learn the language. Another highlight of the second week was the tour to Japans oldest and highest quality whiskey distillery in Yamazaki. This tour also showed the high expectations for service, efficiency and cleanliness within the Japanese culture. In general, I experienced several aspects that are not present within the German culture, however we share many values and cultural settings. 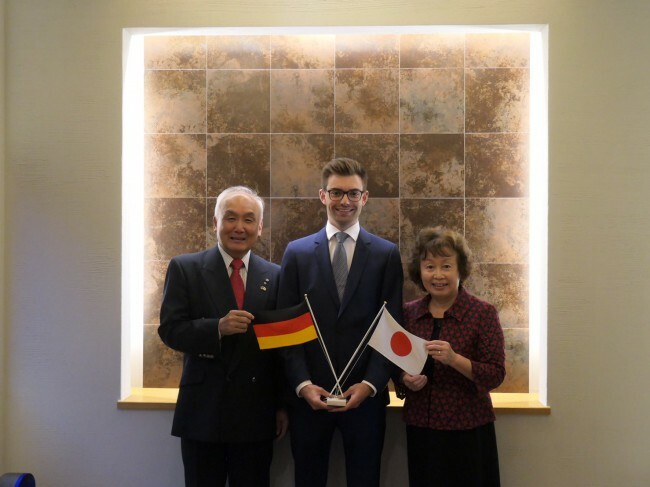 This also reflects on the positive political and economic relationship between Germany and Japan. One of my personal highlights is the diversified evening program due to invitations to events, traditional dinners, or round tables. Those activities allow me to get direct contact with locals and experience the Japanese culture first hand. Another benefit is that most of those people speak German, which helps to get around the present language barriers caused by me not speaking that much Japanese yet. My target is to improve my Japanese knowledge as soon as possible to be able to start small conversations. I am looking forward to the interesting experiences of the upcoming weeks, especially to get to know more of the culture, the language, the history and the local people. The first impressions were positive and exciting throughout. Once again, I want to thank Mr. And Mrs. Okamoto for spending so much time and energy to make my stay unique.